James Blunt gives his detractors the 2-fingers in latest single, ‘Love Me Better’. Lifted from his upcoming album ‘The Afterlove’ which is set for release on March 24th through Atlantic Records, ‘Love Me Better’ marks a new departure for the platinum selling artist. Produced by American singer Ryan Tedder (One Republic), a respected songwriter in his own right (Madonna, U2, Adele) its interstitial arc curves through a spectrum of slick R&B before exploding into vibrant uptempo pop. While reflective lyrics are raw and forthright, they are also both critical and self-critical. Shaped in the humourous fold that is trademark Blunt, they take a side-swipe at the Blunt detractors whilst dabbling in some heartfelt emosh. Fusing high-end R&B with uptown pop, the song, which hinges on catchy beats and gyrating synths, cruises seamlessly through stop-start tempo changes, giving it both a striking rhythm and refreshing vibe. Coming ahead of his fifth album on which James worked with a diverse cohort including Ed Sheeran and MoZella, the track marks a progressive shift in both sound and style for the ‘You’re Beautiful’ star. 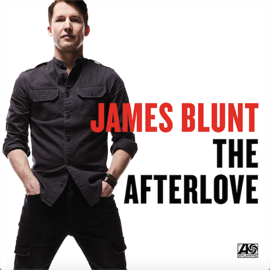 Later this year, November to be exact, will see James Blunt embark on an UK ‘The Afterlove Tour’. A list of dates together with links to pre-order the upcoming album are detailed below. For further information check out James Blunt’s Facebook page. Pom Poko – Unleash New Single Ahead of Trondheim Calling & Cruise Into Urort Final!